A training workshop program on Quality Assurance in Higher Education & Curriculum Design was held at Seminar Hall, BUFT main campus on 30-31 January 2019. Prof. Dr. Engr. 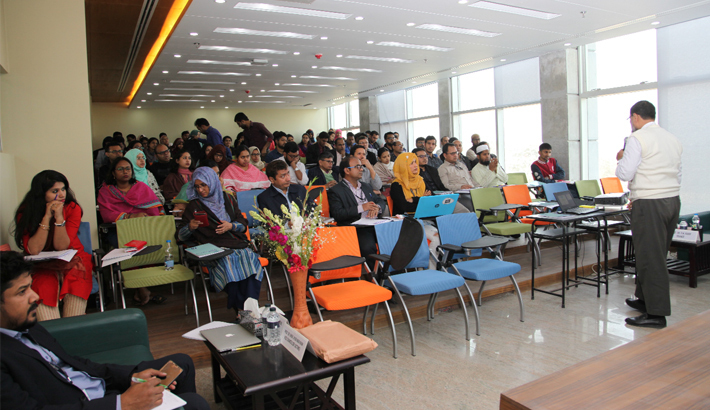 Ayub Nabi Khan (acting) Vice Chancellor of BGMEA University of Fashion & Technology (BUFT) inaugurated the two-day workshop as chief guest, while Prof. Dr. S M Kabir, Dept. of Marketing, University of Rajshahi was present as the key note speaker. The faculty members of BUFT took part in this workshop.